Summer is in full swing and it’s a great time to create garden cocktails and beverages that include fresh herbs and more from your garden! 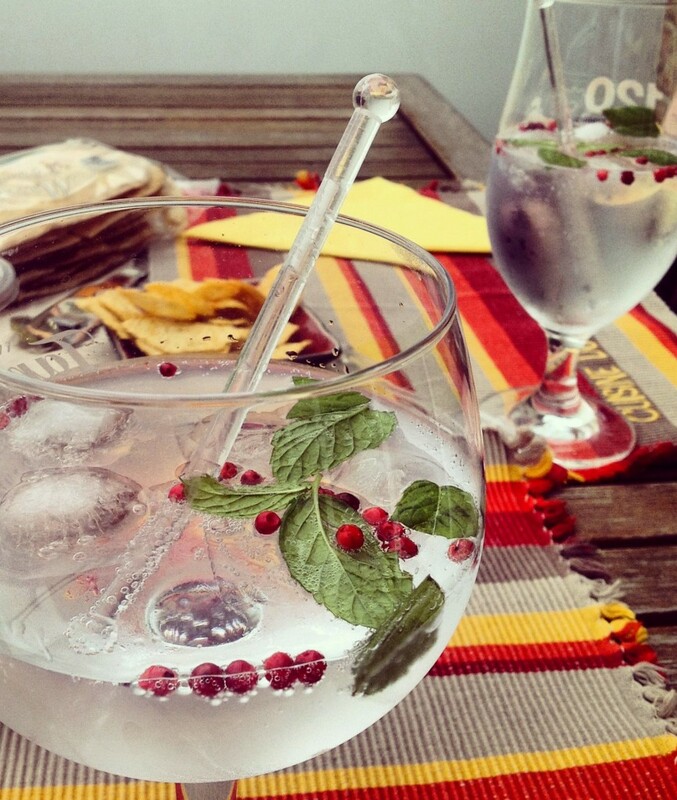 Here are our favorite garden inspired cocktail and beverages ideas. Check out a recipe for a Raspberry Herb Cocktail below. Cheers! Mojitos: Add fresh blueberries, blackberries, raspberries or strawberries to give your Mojitos a summer twist! Berries from your garden or from local farms taste delicious in cocktails! Mint Julep: These classic drinks are so refreshing in the summer and feature spearmint at their leading ingredient. Hard Iced Tea: Use spearmint, peppermint or pineapple mint to add flavor and spice up your average summer ice tea. Moscow Mule: Shake up this ginger-infused cocktail and add in mint and your favorite berries or fruit! Peaches, strawberries…the options are endless and delicious! Strawberry Basil Lemonade: This summer lemonade is delicious with fresh cut basil from the garden and warm summer strawberries. This drink is fantastic with alcohol and without it. Dress up the cocktail for a summer party or keep a fresh batch in your fridge each week- you won’t regret it! Raspberry Herb- Cocktail: Use spearmint, basil, fresh raspberries and sparkling wine to create a cocktail your guests will swoon for. Blackberry and Rosemary Cocktail: Make a homemade simple syrup with rosemary, sugar and water. Add in blackberries and sparkling wine and you’ve have a delicious cocktail in your glass! If your herbs aren’t looking so hot, stop by Graf Growers and pick up fresh herb plants that will carry you through summer and fall! We carry the staples such as basil, rosemary, mint, thyme and more! Reserve 16 berries. Mash the remaining berries, the sugar, and herbs in a large glass bowl. Stir in vodka, lemon juice, and Prosecco. Pour mixture through a sieve into a pitcher, pressing through; discard solids. Serve over ice. Squeeze 2 berries into each drink. Garnish with herb sprigs. Not a fan of raspberries? Substitute fresh strawberries. It’s delicious too!